Morrisons have stopped playing English football songs in their Scottish stores, after receiving complaints from shoppers who didn't want to be reminded of the fact Scotland didn't qualify for Brazil. Sam Walker spoke to Hillman from the Tartan Army. He'll be supporting England in this World Cup, but said the songs do 'just bring back so many uphappy memories'. 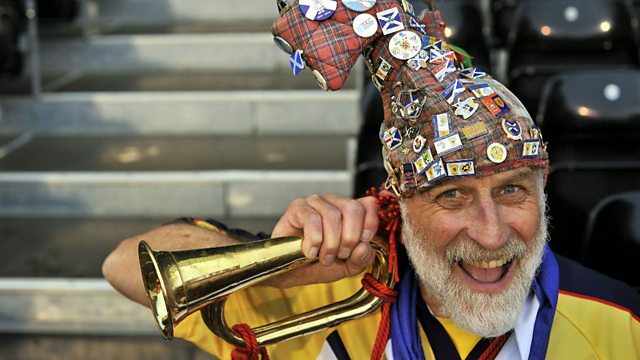 He also admitted that although most other Scottish fans will also cheer on England sometimes, their generosity only ever extends so far as the semi-finals. This clip is from Drive on Thursday 19th June 2014.